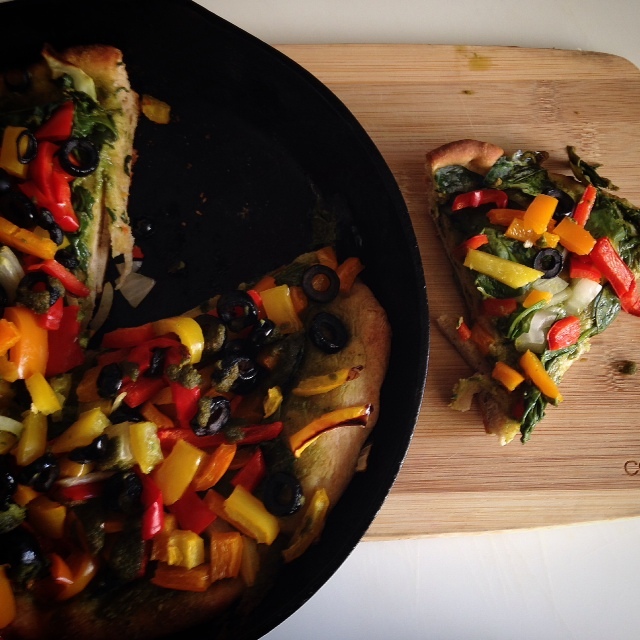 -Preheat oven to 450 degrees F.
-Spray the cast iron skillet olive oil. 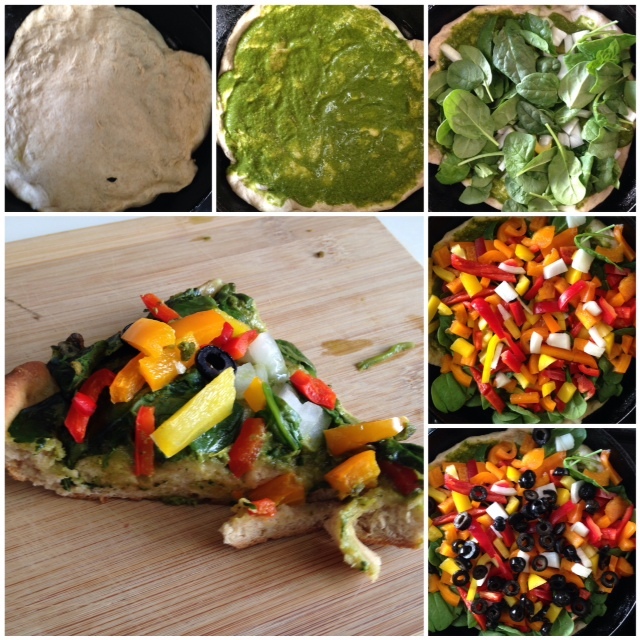 -Next start layering your veggies: I choose diced onion, spinach, and red, yellow, and orange bell peppers. -Bake for 25-30 minutes, until the crust is golden brown and the sauce are bubbly. Let rest for 5-10 minutes before cutting, then serve. 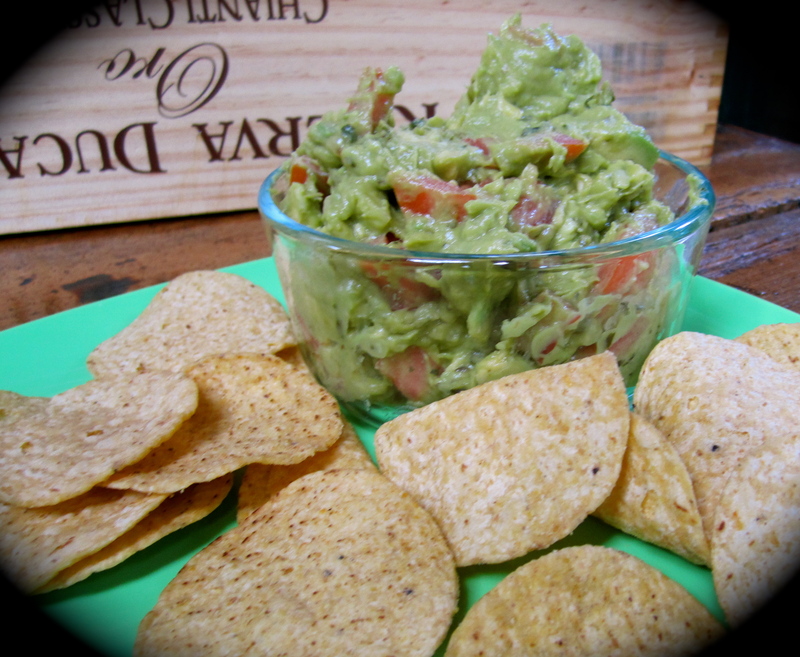 This can also be made in a square baking pan and packed, then cut into square to enjoy! 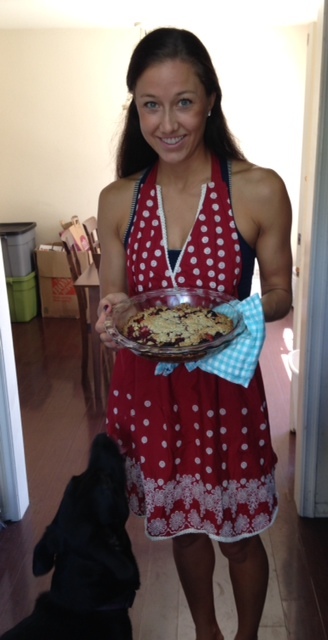 just another day in the kitchen! 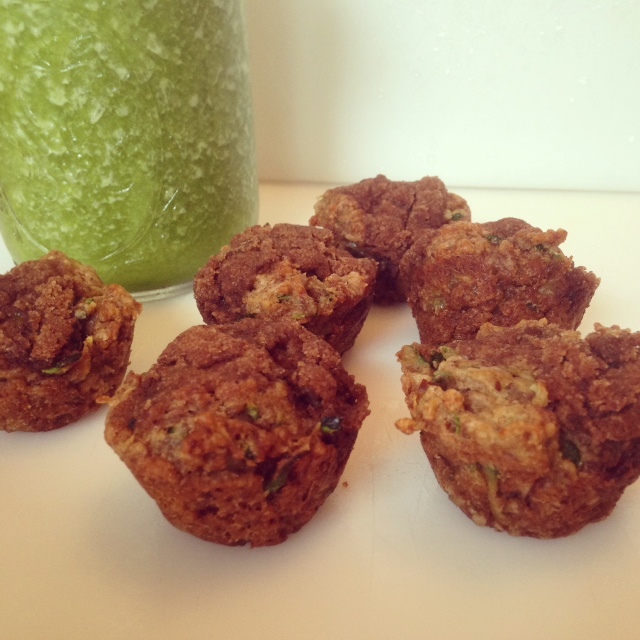 -Mix almond flour, oats, baking powder, and salt in medium bowl. Whisk, add in coconut oil. Using hands work into a crumble mixture (holds together when pressed). -Remove ½ of crumble for topping. 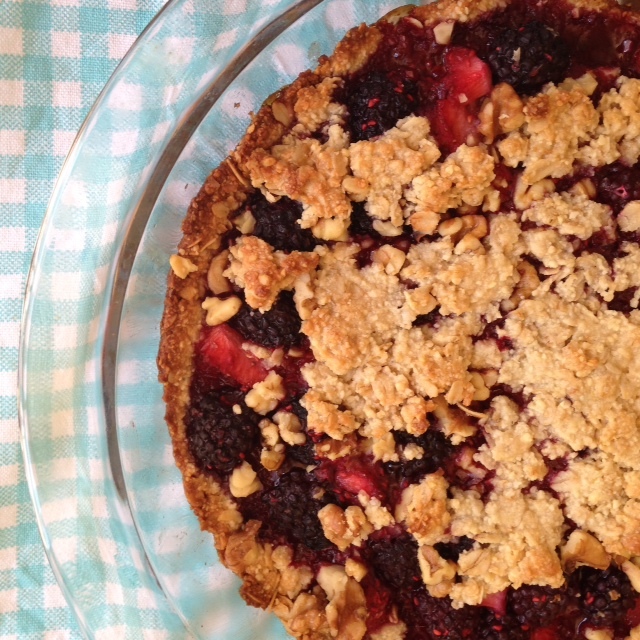 -Pour crumble into a 9inch pie pan and press into edges and bottom evenly. 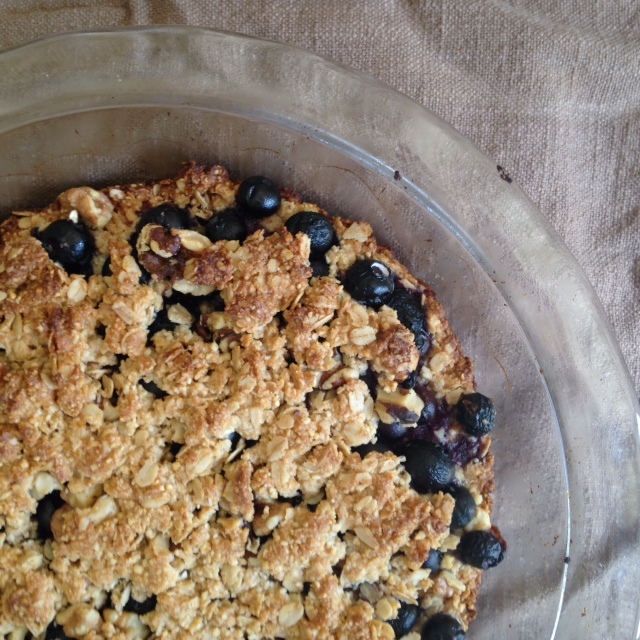 -Pour blueberries over crust. Add on chopped nuts. Top with remaining crumble. -Check on tart about 20 minute in, if sides look brown, tent the baking dish with tin foil, ensuring the tart is evenly baked. -After 40 minutes, remove from oven and let cool. Using Blender (Vitamix) blend together all ingredients. Add more water if needed, until you get the consistency you desire. For pasta you will need a Veggetti (this can be purchased at Bed, Bath and Beyond). 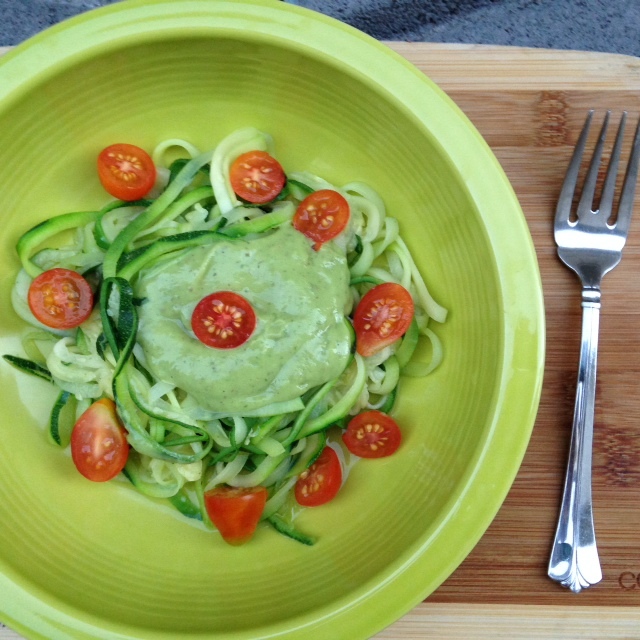 Simply stick one end of zucchini through the Veggetti and rotate creating long “noodles”. Boil water, throw in your noodles, and boil for 1 minute. Remove from heat and rinse. 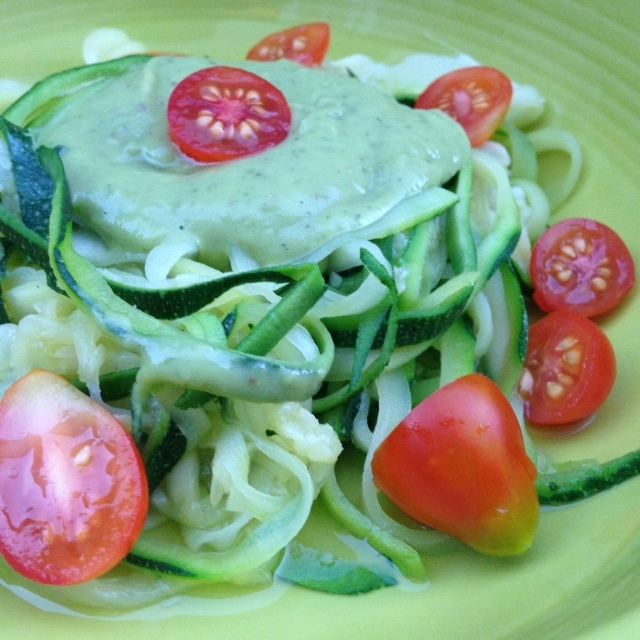 Drizzle sauce over your cooked zucchini pasta and enjoy! If you’d like, you can add more veggies to the mix, such as sliced grape tomatoes. In large bowl combine flour, cinnamon, baking powder, and salt. In measuring glass mix the water and maple syrup, mix well. Then combine the wet to dry ingredients, stirring well, but don’t over mix (should have some lumps). Lighly oil a large non-stick pan and heat over medium-high heat. Pour ¼ cup of batter onto pan, and add blueberries. When small bubbles appear in the center of the pancake, flip over. Repeat until all batter is used.